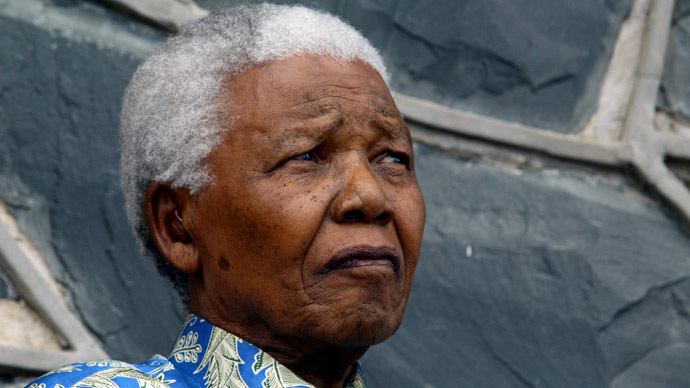 As the world remembers Nelson Mandela’s legacy as South Africa’s first black president and anti-apartheid icon, he was also deeply skeptical of American power, the Iraq invasion, and was a key supporter of the Palestinian Liberation Organization. Here are seven quotes from the leader that are less likely to be published as his life is honored and his death commemorated in the mainstream media. 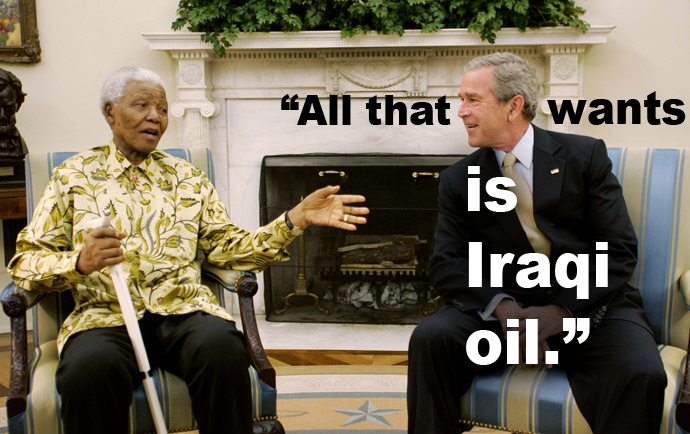 Prior to the US invasion of Iraq, Mandela slammed the actions of the US at a speech made at the International Women’s Forum in Johannesburg, declaring that former President George W. Bush’s primary motive was ‘oil’, while adding that Bush was undermining the UN. “If there is a country that has committed unspeakable atrocities in the world, it is the United States of America. They don’t care for human beings,” Mandela said. Mandela was a long-time supporter of the Palestinian Liberation Organization and made a speech to reporters in 1999, in which he agreed to be a political mediator between Israel and its neighbors. “Israel should withdraw from all the areas which it won from the Arabs in 1967, and in particular Israel should withdraw completely from the Golan Heights, from south Lebanon and from the West Bank,”Mandela stated, according to the Jewish Telegraph Agency’s Suzanne Belling. Mandela met with Fidel Castro in 1991, giving a speech alongside him entitled “How Far We Slaves Have Come.” The country was commemorating the 38th anniversary of the storming of the Moncada, and Mandela hailed Cuba’s ‘special place’ in the heart of the people of Africa, its revolution, and how far the country had come. Mandela urged for the end to harsh UN sanctions imposed upon Libya in 1997, and pledged his support for Libyan leader Muammar Gaddafi, who was a longtime supporter of his. “It is our duty to give support to the brother leader…especially in regards to the sanctions which are not hitting just him, they are hitting the ordinary masses of the people … our African brothers and sisters,”Mandela said. On the International Day of Solidarity with the Palestinian People, December 4. 1997, Mandela assembled a group “as South Africans, our Palestinian guests and as humanists to express our solidarity with the people of Palestine.” At the speech, he called for the metaphorical flames of solidarity, justice, and freedom to be kept burning.